Happy Tuesday Tutorial day to you. Lisa here. 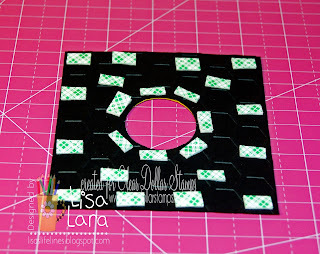 I made a card for last Sunday's blog hop using this technique I am going to show you today and loved it so much I decided to make it today's tutorial. 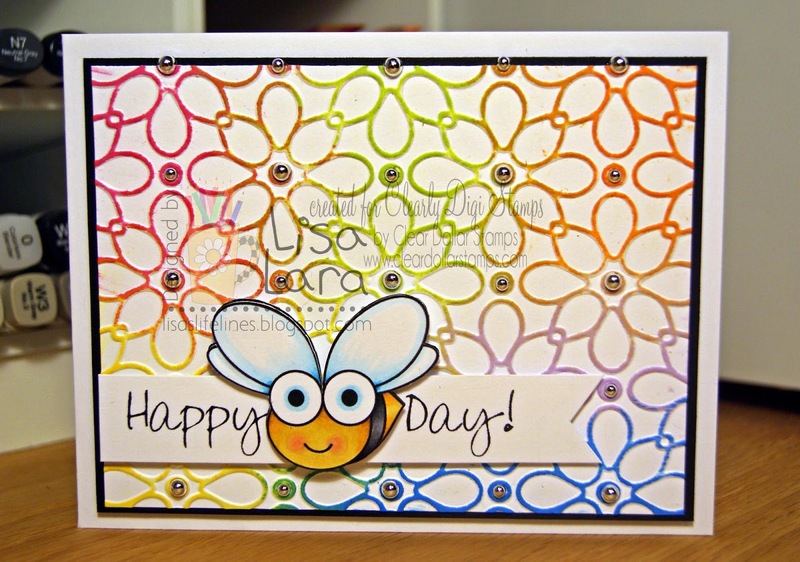 Plus I'll show you how to make this "BEE"utiful card using one of our clear stamp sets. 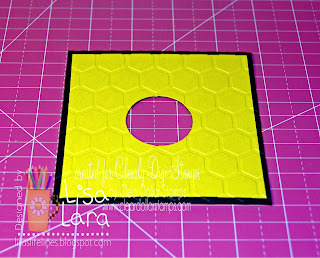 I made this using Clear Stamp Set HOME SWEET HIVE. I cut a piece of Bashful Blue by SU to 5 x 10". And scored at 5" on the long side and folded with a bone folder with the bump on the inside. I cut two panels. 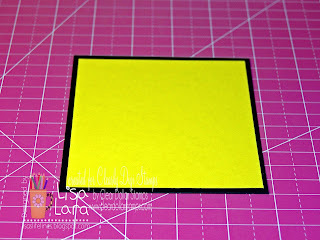 True Black by Papertrey Ink to 4 1/4 x 4 1/4 and Crushed Curry by SU to 4 x 4". 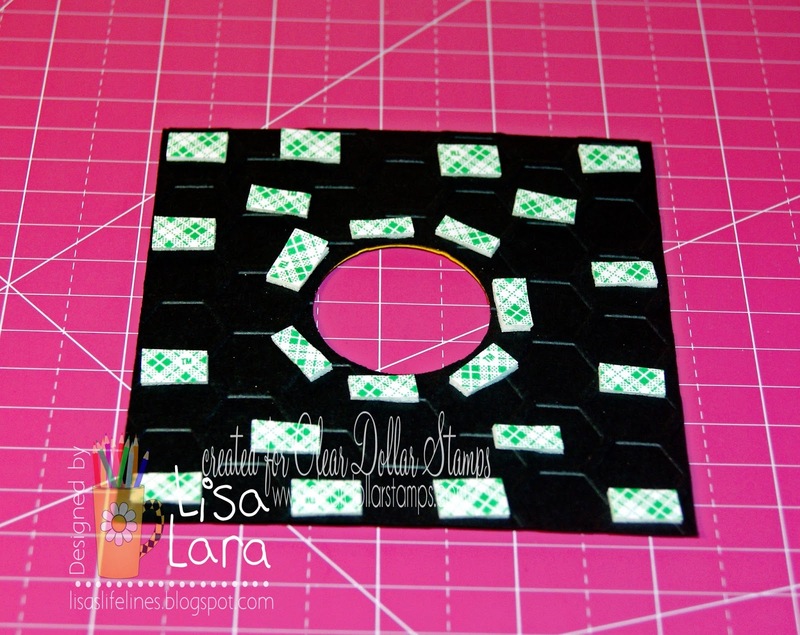 I adhered them together with double sided tape. 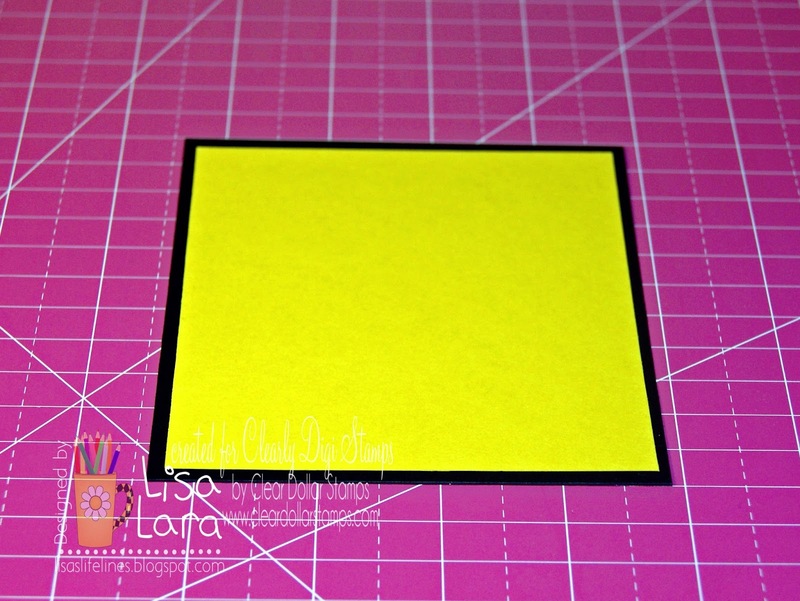 I used a ruler to find the center of the yellow piece and centered my 1 3/8" spellbinders circle die and held it down with Washi Tape. 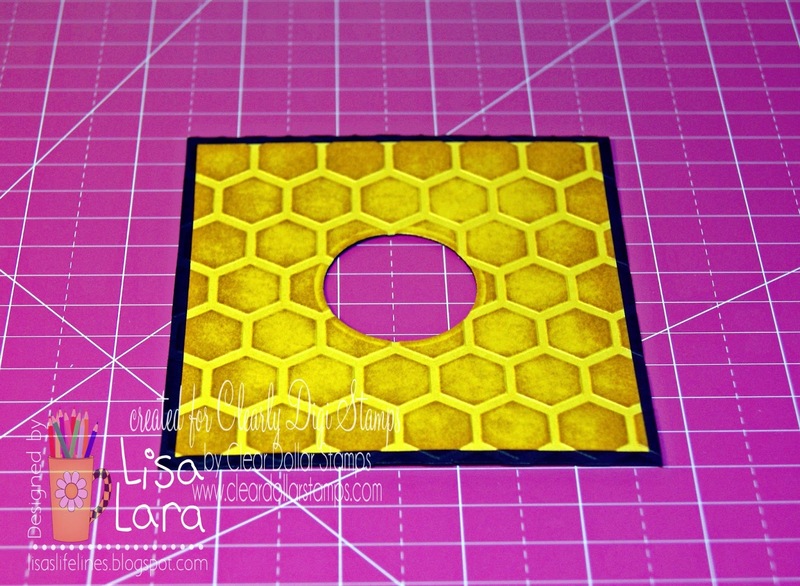 I embossed my panel by placing it face up on the flat side of the Cuttlebug Embossing Folder HONEYCOMB. I rubbed the Crushed Curry ink pad by SU over the top of the embossed panel. (this works best with folders that give a high impression). I kept moving my panel around until I got the desired coverage. I love the distressed look this creates. 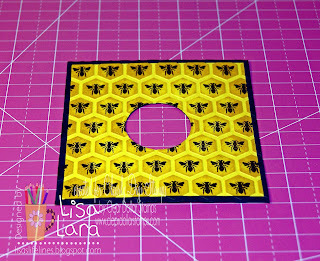 Using the clear stamp set HOME SWEET HIVE I stamped my bee on the honeycombs using Versafine Onyx Black ink (it gives a good solid black image). 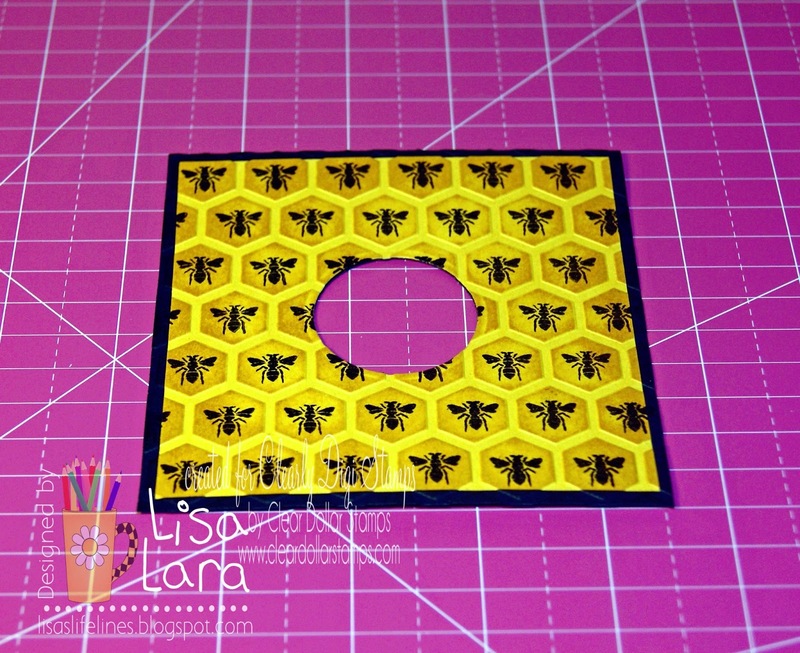 I placed the bee panel centered on the card base and lightly traced the circle window in pencil. 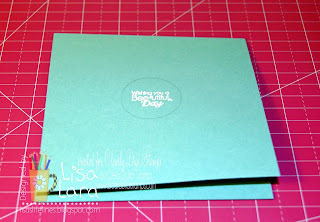 Then I stamped my sentiment with VersaMark ink pad and heat embossed with White Embossing Powder. 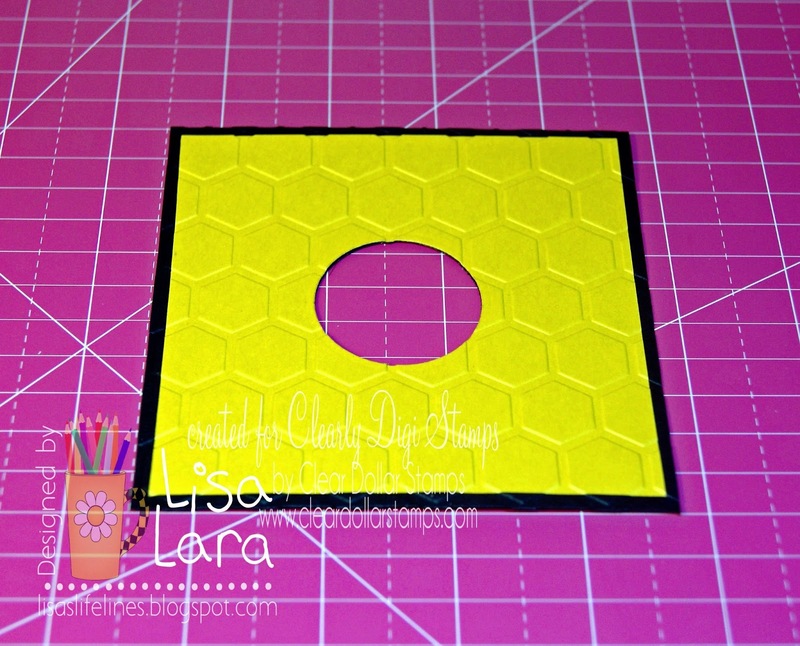 I placed 1/16" Scotch dimensional tape cut into pieces to the back of the bee panel to adhere to the card front. Here's another sample using this technique. On this card I used my digital image I designed BUMBLES. 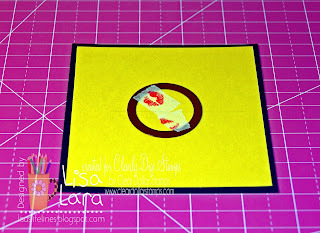 I used the Cuttlebug Embossing folder JULI'S GARDEN. I rubbed Memento teardrop ink pads over the top. I love the multi-colors. I placed silver pearls in the flower centers. 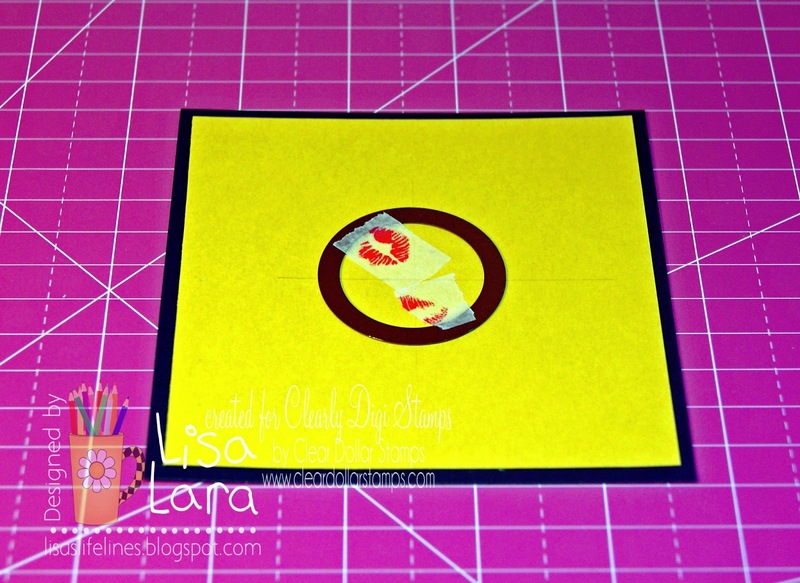 Thanks Lisa for sharing your technique. 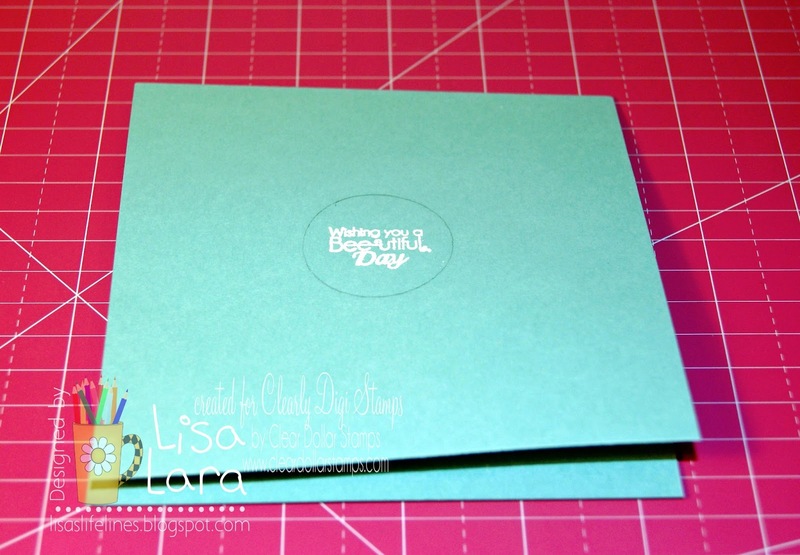 Both cards are so much fun and I love all the textures with the sponging and popped up main layer. 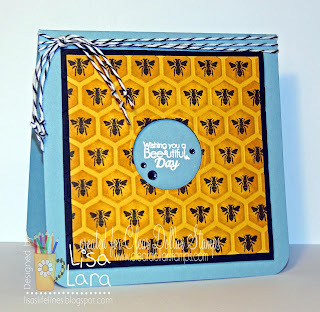 This BEE likes your Bee cards.